Palawan, an archipelago of around 1,780 islands that’s named after its largest island, is one of the most remote provinces in the Philippines. Known as the country’s “last ecological frontier” due to the astounding diversity of coastal and marine ecosystems, the entire province is protected as a UNESCO Biosphere Reserve. 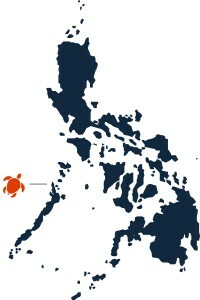 At the northern tip of the island of Palawan sits El Nido, gateway town to the El Nido-Taytay Managed Resource Protected Area, which spans about 350 square miles of land and sea. 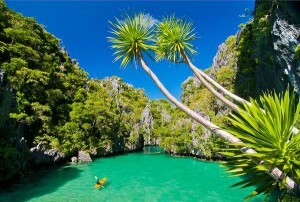 In El Nido, vertical limestone cliffs rise over the palm-lined shores of turquoise Bacuit Bay. Just offshore, mystical karst towers jut out of the crystal-clear water. For divers, snorkelers, and anyone looking to get away from it all, El Nido is the launching pad for island hopping in the enchanting Bacuit Archipelago. Hire a guide or join a tour and explore this tropical playground filled with secluded sugar-white beaches, secret sea caves, hidden lagoons, and coral reefs teeming with marine life. This entry was posted in El Nido, Palawan and tagged Best Spring Trips 2014, National Geographic. Bookmark the permalink.